Faber-Castell Colouring For Relaxation Felt Tip Pens Set. 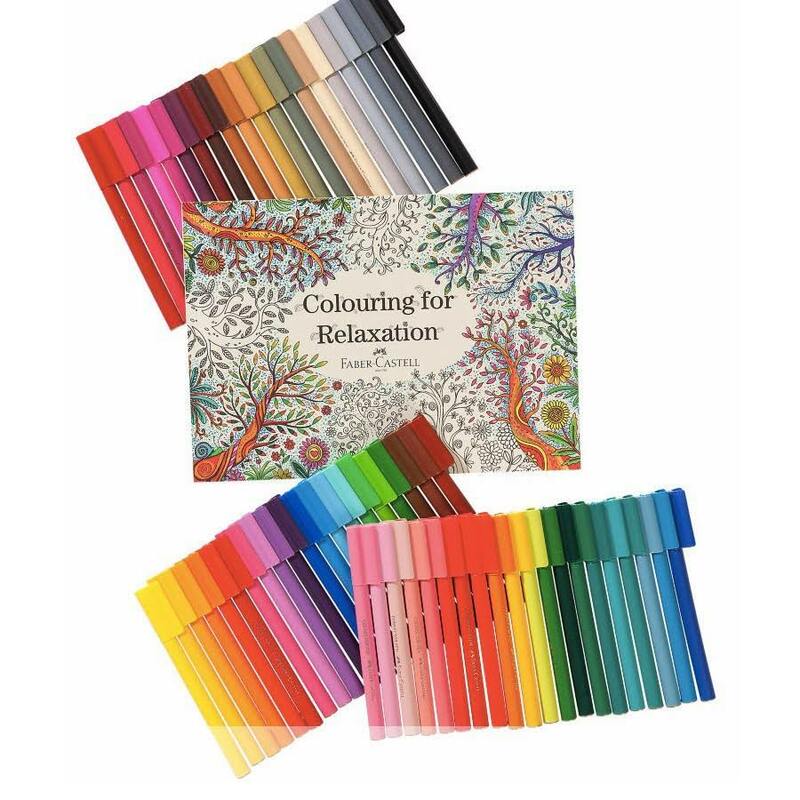 FABER-CASTELL COLOURING FOR RELAXATION FELT TIP PENS SET IN GIFT BOX. Faber-Castell (Est. 1761) are renowned for their quality when it comes to illustrating, drawing and colouring utensils. The creative motives of this stunning colouring book are ideal for relaxing, whether you have 10 minutes or 2 hours. The bright coloured felt tip pens are perfect for being creative and colouring a wide range of shades. Due to the specialized clip, the felt tip pens can be connected together. Great colouring techniques guarantee unlimited colouring fun and fanciful creativity. Includes 60 high quality felt tip pens and colouring book with 50 motifs and patterns, all supplied neatly in a beautiful presentation box.